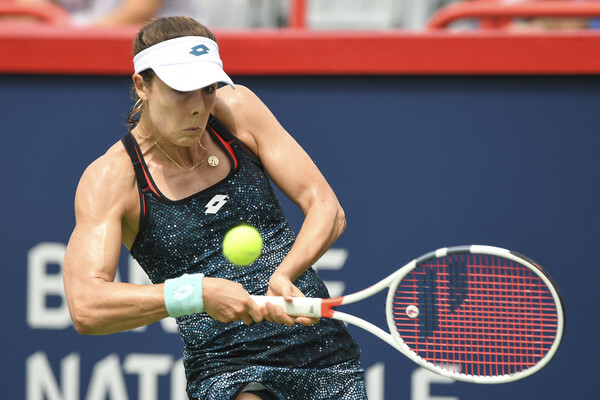 Angelique Kerber was simply outclassed by a stronger opponent as Alize Cornet stunned the fourth-ranked German with a 6-4, 6-1 scoreline in the second round of the Rogers Cup. 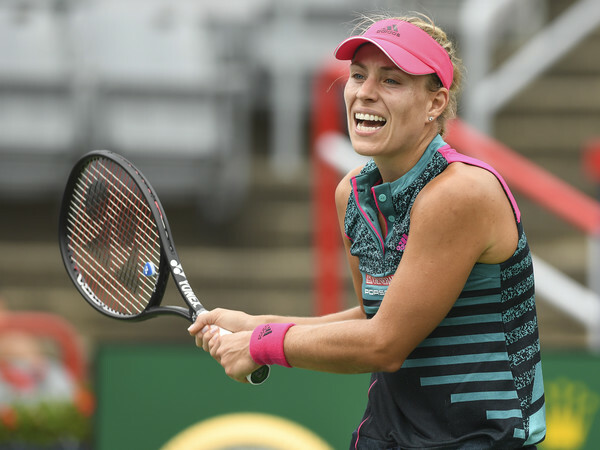 Newly-crowned Wimbledon champion and world number four Angelique Kerber failed to continue her good run of form as the German fell at the first hurdle on her return to the tour, falling to the dangerous and unseeded Alize Cornet in her opening match of the 2018 Rogers Cup. The Frenchwoman put in a confident display to triumph 6-4, 6-1 after just an hour and 25-minutes of play, setting up a third-round meeting with Ashleigh Barty. 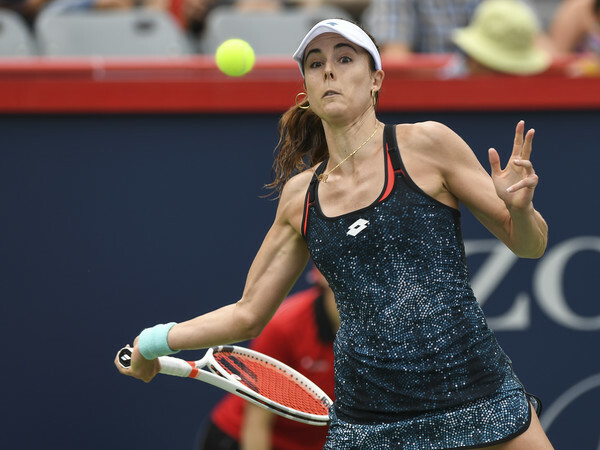 Cornet blasted 20 winners to just 15 unforced errors while winning 64 percent of her first serve points but Kerber’s statistics were horrifying as she could not find her game at all. She misfired on 32 different occasions and failed to win more than half of her first serves, getting broken five times throughout the encounter. Cornet had the confidence-boosting start into the match as she comfortably held her serve despite being under some early pressure initially. Kerber was not feeling the enthusiasm and momentum in her game as she seemed to be underperforming in the early stages, being broken in her first service game after sending a backhand long. Kerber finally found her groove as she was able to break straight back and get onto the scoreboard, but failed to sustain her high level as an abundance of errors proved costly, allowing Cornet to regain the lead. This time, the Frenchwoman was able to consolidate the break with ease and Kerber found herself in some deep trouble as she conceded yet another break point in the sixth game. Cornet failed to convert the golden opportunity and she will rue the missed chance as Kerber gathered up her powerful first serves to lessen the deficit. Cornet placed herself just one game away from taking the first set, but from there it was Kerber who had the say in the rallies. The three-time Major champion started to dictate play with her formidable forehands and retrieved the break back, returning on serve having claimed two consecutive games. Serving to stay in the set, Kerber had a game point but Cornet was able to display her tough mentality, with the Frenchwoman showing off her wheels on the court as she fended off Kerber’s drop shots easily, ultimately taking the first set after 48 minutes of play. Cornet suffered from a huge scare in the opening game of the second set, having almost lost a 40-0 lead and needed to save a break point to grab the nervy hold, fighting off the incoming slaughter from Kerber. A series of errors produced by the German saw her completely losing the plot in her game while Cornet rode on her momentum to surge towards a 2-0 lead. Kerber’s body language was sending off worrying signals as the intensity in her game experienced an obvious dip while Cornet gained confidence with every point she won. Cornet impressively consolidated the break to love, opening a commanding three-game advantage within a blink of an eye. In what was the longest game of the match, Kerber attempted to lessen the deficit but failed to survive the marathon 18-point game despite saving five break points in the process. 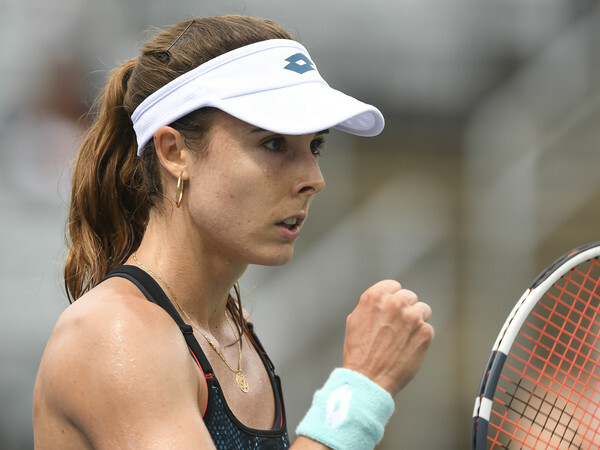 Cornet, producing some good returns, was sixth-time lucky as Kerber was extremely inconsistent on her forehand wing which proved costly — gifting the chance for Cornet to serve out the match. 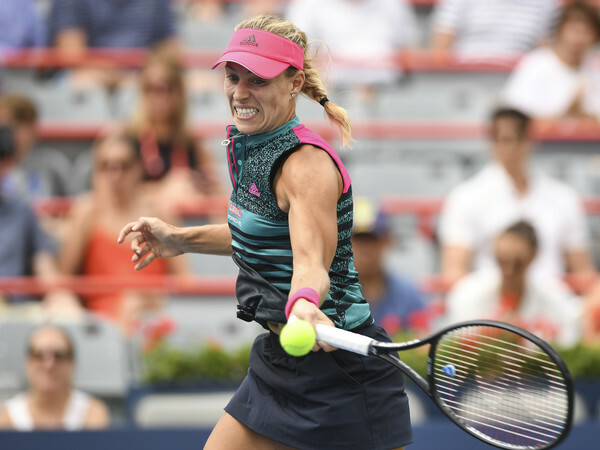 An unbelievable drop shot winner set up match point for the world number 34, but Kerber was determined to put up a tough fight as she sent in a backhand down-the-line winner to stay alive. Even though she managed to earn a break point, the lack of intensity and focus from Kerber was relatively evident, which Cornet took full advantage of, claiming the huge 6-4, 6-1 win over the Wimbledon champion.